Yami Bolo is one of our internationally acknowledged foundation artists who paved the way to keep reggae alive and conscious today and has also made a commitment to use his platform in the music industry to spread love and conscious vibrations to increase love and unity within the human race. A veteran and legend to this day Yami Bolo has made and still continues to make huge contribution to the reggae industry and has taken reggae beyond the island of Jamaica to places such as Japan, the United States, Europe, Canada, and even Africa by airwaves. 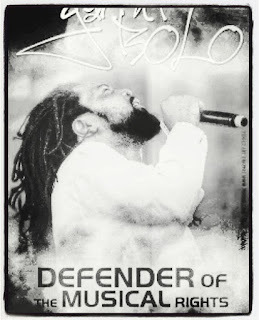 Additionally Yami Bolo is still seen as a major icon and major influence for reggae artists such as recently Grammy Award winning Damian Marley whom he did two music collaborations with as well as Stephen Marley and many others such as Junior Reid, Capelton, just to name a few. I am submitting to your publicationYami Bolo's latest track "Love Keep Us" which has reached the world thanks to moder technology to touch lives and restore hope and unification within the human race. As well you will see the link to his EPK of his great works musically since he left as he describes in his own words the sweet paradise of Jamaica. Island Beats and the rest of his fans world wide are convinced that Yami Bolo would be an excellent choice for your rotation. For further information or for any booking releated matters please feel free to call Island Beats Promotions at: 437 991 8367 or by email at islandbeatspromotions@gmail.com.